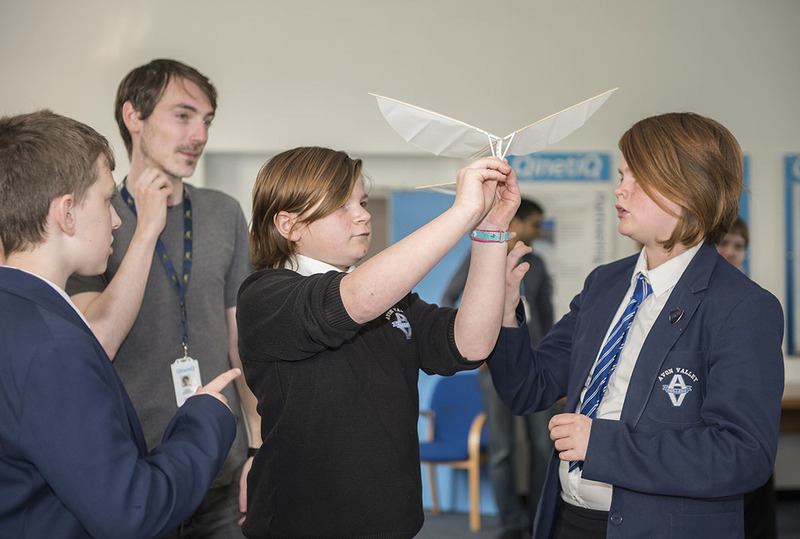 The QinetiQ Inter-Schools Challenge took place at Boscombe Down last month. 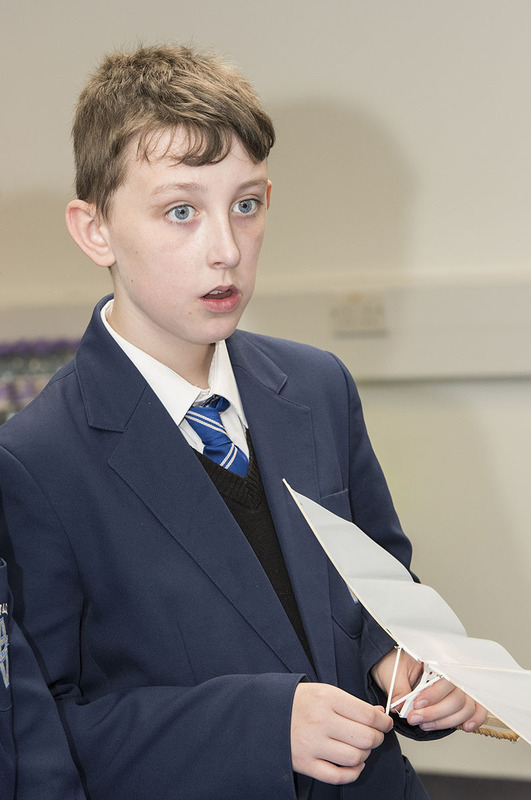 A group of Year 7 AVC students took part in the final Challenge. 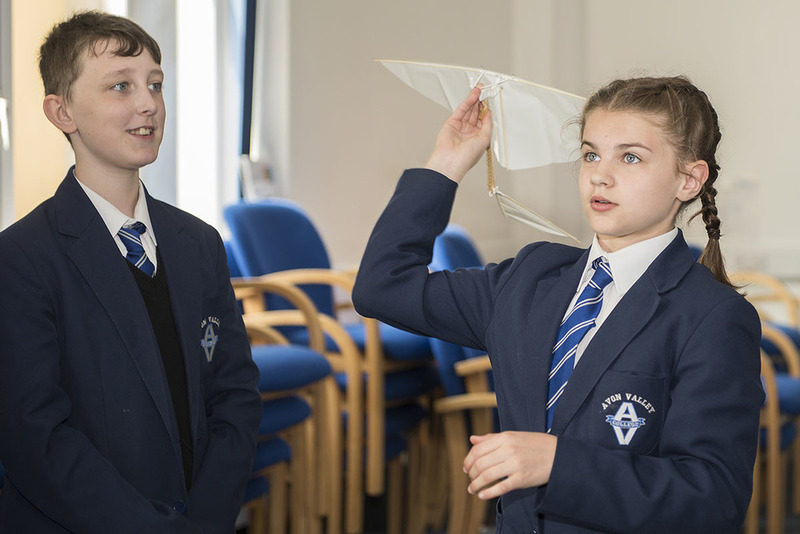 Throughout this year, students have been working with Shaun and Chris, Aviation Engineers from QinetiQ, in studying and constructing an ornithopter; these are flapping wing gliders like the one designed by Leonardo da Vinci. 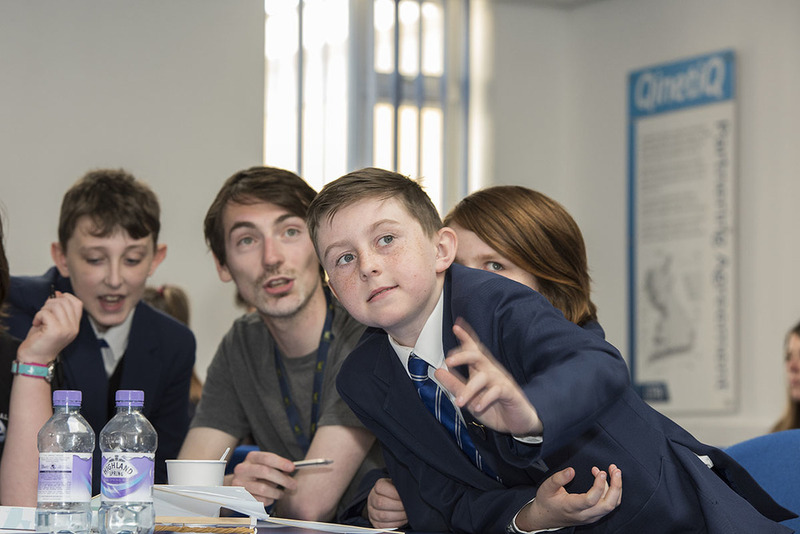 The team worked really well and their collaboration was positively commented upon by the QinetiQ competition judges. Once built, it was time for testing. We won the first challenge with longest flight time, we didn’t win the distance challenge, that’s for next time. Overall we came 3rd, not bad for the youngest team, but we’ll be back. Before the awards were presented we had a tour of the training facilities for the apprentice engineers; a fantastic workshop with traditional and high‐tech resources for the study of avionics or aircraft engineering. In the afternoon, after lunch, we had the awards ceremony. 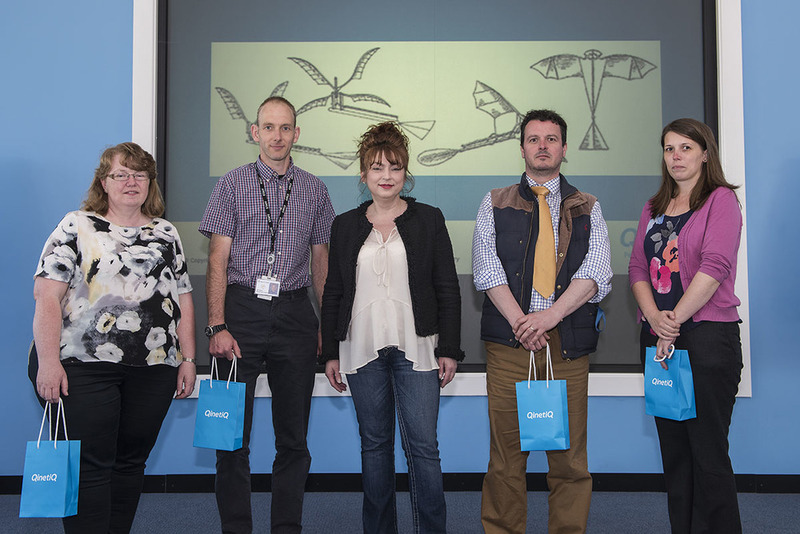 The teams were presented with their QinetiQ bags by one of the senior staff, who commented on how well the day had gone and that QinetiQ would be hosting a competition next year.